Dijon is a remarkable city, filled with architectural and cultural treasures, great shopping and world-class fine dining. It also boasts a thriving local life, evident in its bustling local markets. No visit to Dijon is complete without a stop at Les Halles market. Located at the heart of the historic district, the stalls are brimming with pedigree cheeses, charcuteries, fresh produce, regional specialties and, of course, wine. This is no ordinary market, top local Michelin-starred chefs and local food connoisseurs stock up in these hallowed aisles. The most fun (and busiest) time to visit is on a Saturday, when more than 200 stalls spill out on the streets in a colourful kaleidoscope offering anything from baskets, clothes and jewellery to regional crafts. This covered market is located on the northeastern district of the city, held on Thursday and Saturday mornings. 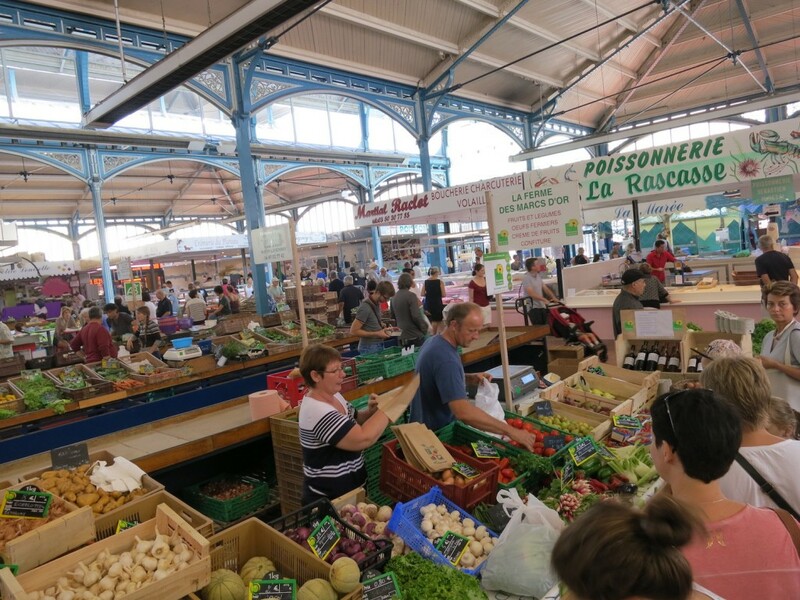 The lively stalls offer a typical French shopping experience with fresh produce, breads and pastries, fishmongers and organic producers. Everything you need to stock up for your home or put together a great picnic. 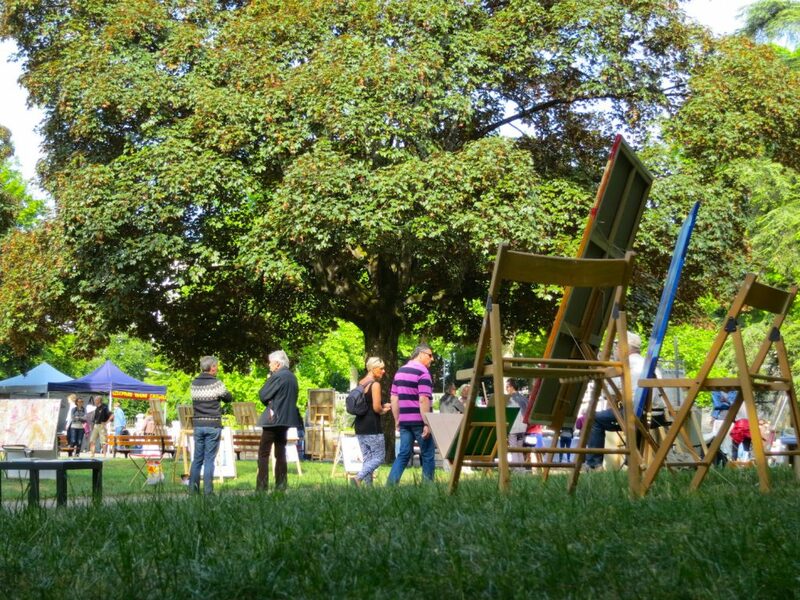 In the elegant Darcy Gardens, professional artists gather to show and sell their work directly. The open-air art gallery event is held from April to October on the first Sunday of the month from 9am to 1pm. It’s a great opportunity to shop for a new addition to your art collection, meet the artist, and find out more about the creative process that inspired the painting or sculpture that caught your eye. The only caveat: the market is cancelled if it rains, but you can check their Facebook page to make sure. Every Wednesday from 8am to 1pm, a market takes place on the esplanade of the Canal port, once a busy commercial waterway now reserved for leisure pursuits. At the initiative of the association of craftsmen and merchants of the port of the Canal de Dijon, this food market brings together several local producers: butchers, roasters, cheese makers, bakers and florists. There couldn’t be a more lovely way to do your weekly shop than strolling along the canal while you pick up great quality staples. The market is located within an easy 20-minute walk from the train station, or just take the tram to the 1er Mai stop and you’re there. In the vibrant pedestrian streets of the ‘antique dealer’ district in the historical center, the area is packed with incredible charming shops and galleries, plus great trendy or traditional restaurants, bars and cafés. 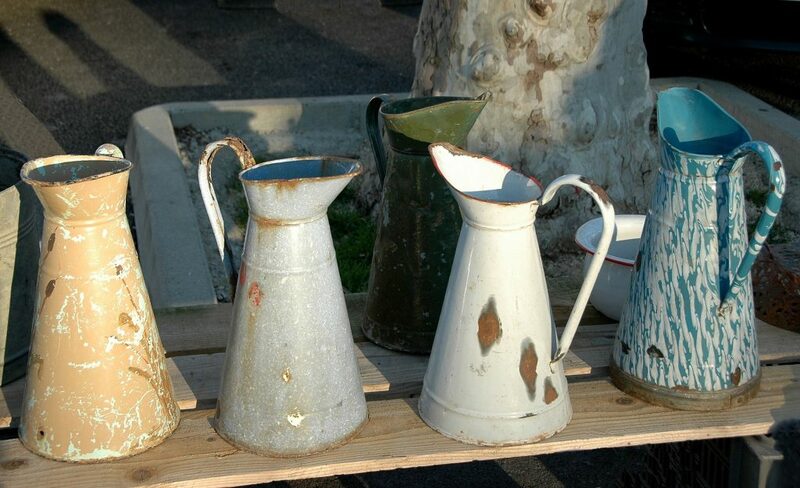 Vendors display their wares on the streets every third Sunday of the month, and the antique market makes for a great outing and real treasure hunt for flea market aficionados. Every Wednesday and Friday from 5.30pm to 7.30pm, local farmers offer between 300 to 400 different locally grown and produced fruits, eggs, honey, jams, cheese, butter and other wholesome foodie delights for organic locavores at La Ruche Qui Dit Oui. There’s also a collaborative herb garden.